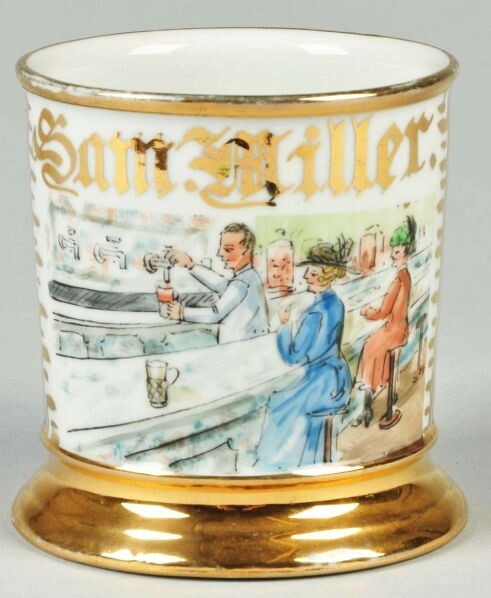 Gilt name “Sam Miller”. 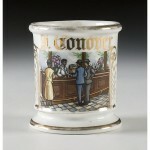 Shows a male soda clerk making two sodas for women customers wearing Victorian-style dresses and hats. Bright blue wrap. Green “Germany” mark on bottom. Size 3 – 1/2″ T.